Aurora lighting has an exceptional line of quality products aimed to please even the most discerning of consumers. 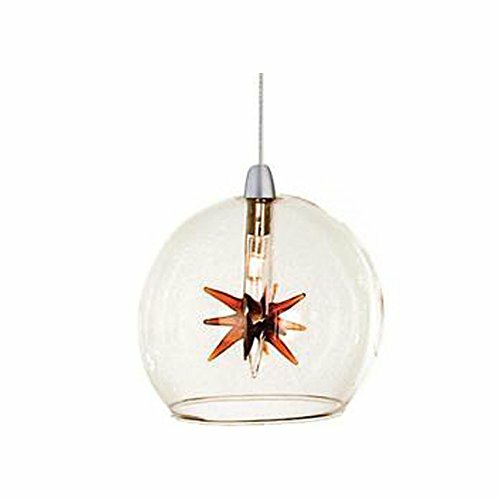 Relish in the design of this 1 light pendant; from the details in the clear and amber glass, to the double coated nickel finish, this pendant is not only durable, but a tastefully elegant showpiece. If you have any questions about this product by ET2 Lighting, contact us by completing and submitting the form below. If you are looking for a specif part number, please include it with your message.